Our Chevy truck is a fun and reliable vehicle for our outdoor recreational life. Our Chevy Silverado 1500 is a very dependable truck. Although it is considered an older model, finding parts for the vehicle is fairly easy. It is great for hauling, towing, and moving large objects. The cab is exceptionally roomy. The truck seats five people comfortably. It is also great for road trips when bringing a lot of camping gear. We use our truck every day. There are downsides however. The Chevy Silverado 1500 is not that great on gas. The truck requires regular maintenance to keep it running properly. It is also sometimes difficult to find parking for the large vehicle. My vehicle gets me front point A to point B. The only thing I do not like about my vehicle is that it is a gas guzzler. I do not have any other problems with in otherwise. Maybe, tires get worn out too much, but I always make sure I have a spared. I also have a dent on the diver side which needs to fixed. I have to wash the bugs off the front window and adjust my mirrors when I drive. The performance on my vehicle is great. My truck is very reliability, it gets me around to all the places I want. It is comfort to sit in for a long drive. The features are great and has a good sound system. 2006 Chevy truck, still making dreams come true! 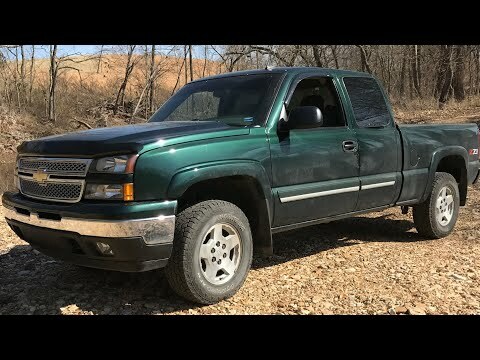 This vehicle is a 2006, Chevrolet Silverado 1500. It has 170, 000 gentle miles on it. The truck is a champagne color, metal flake which also has a matching cap which locks, letting you stow a lot of your packages and valuables out of sight. There are no dents, dings or discolorations at all. The interior is brand new looking and is a velour in a dove gray tone. It has 4 doors, 2 full size and two half doors which lock by closing the front doors, making children seated in the back seat very secure.